Norman McLaren emerges as one of the most important and known Canadian animation artists active between the sixties and seventies. 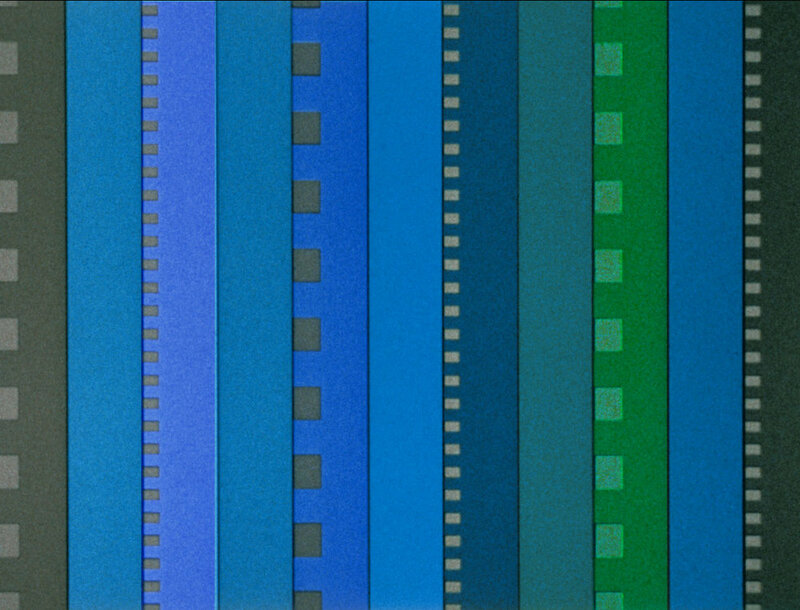 The experimental animation merged with abstract art, as the work Synchromy, 1971, in which colored geometric shapes play the role of protagonists moving on a refined musical beat. The movement and the composition of the shapes create a different composition that reminds a sort of kaleidoscope. A different kind of animated videos, always by Mclaren, is found in Canon, 1964, where the protagonists are real human figures, animated on a black background thus creating a kind of theater within the video itself. 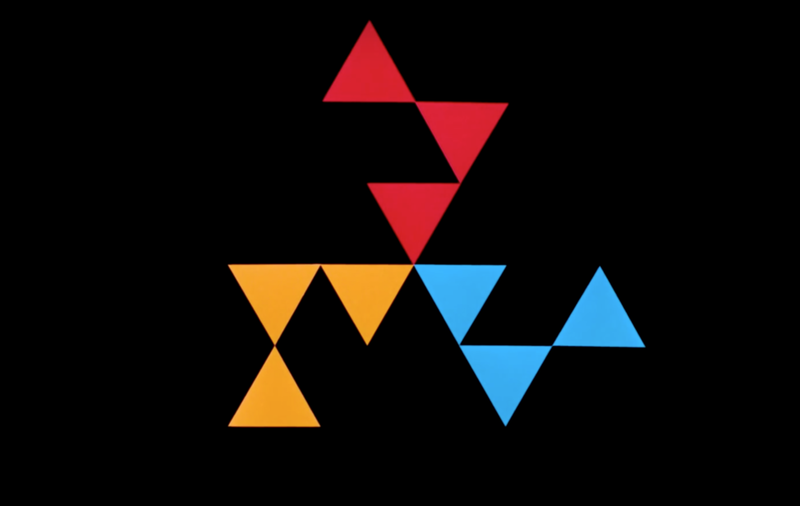 Another example of composition and shape is the video Notes on a triangle, 1966, by Renè Jodoin, where the forms move on light background music of a piano and the strong contrasts of bright colors shine on a black background. The total black background is quite recurring in experimental animation films and it highlights the work of the animated illustration. 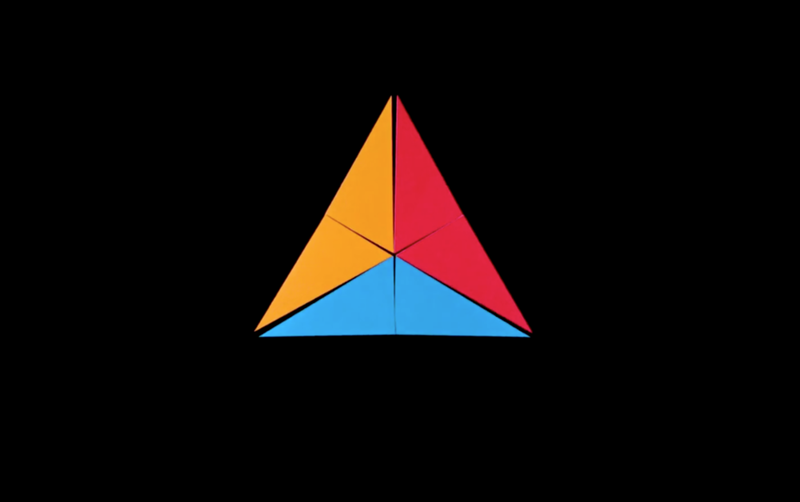 The videos of these years are still a great source of inspiration for artists, filmmakers and designers. One of the latter is definitely Vivetta Ponti, the young creative director of her own brand Vivetta Vivetta, whose creative background has a solid foundation in the Canadian experimental animation films and, in particular, in the following directors: Norman McLaren, René Jodoin, Co Hoedeman, Caroline Leaf, Yuri Norstein, Hermina Tyrlova, Jan Svankmaier, and Jirí Trnka. This is a kind of art that may seem childish and better suited to a children audience but instead it has so many facets and possible analysis. Those are creative works that have great potentiality, remarkable artistic quality and that require a huge dedication. 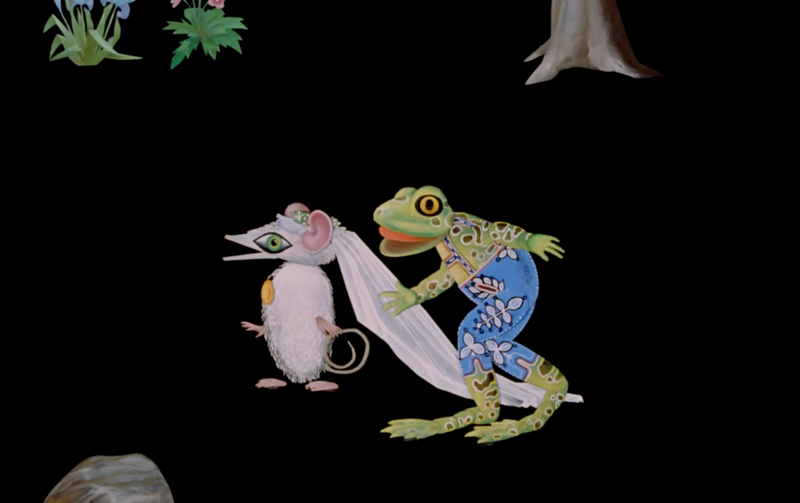 One of the most distinctive video of this period is probably Mr. Frog went a courting, 1974 by Evelyn Lambart; a simple story that has been transposed very well on the screen thanks to this technique that draws from ancient roots and that evolved more and more until today. 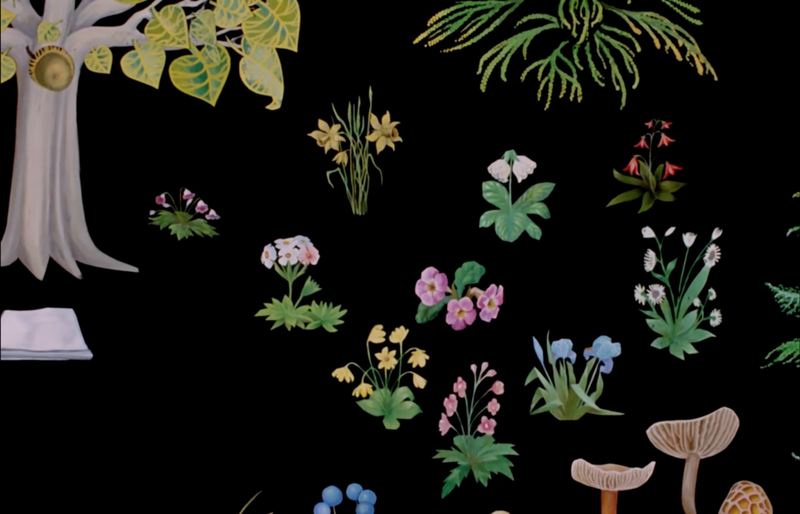 Also in Mr. Frog went a courting the black background is present and it gives a special relevance to the illustrations: flowers, plants and animals, made minutely and in detail. The animation film Le Merle, 1958, instead, is collaboration between Mclaren and Lambart based on the nonsense folk song Mon merle. Directed by Mclaren, the video has color backgrounds with pastel by the artist Lambart. The experimental animation that took place in Canada has something surreal and very interesting from many points of view. Something that we can see in some recent animation videos made for big fashion houses such as Valentino, for example the Camubutterfly by Virgilio Villoresi for pre-fall 2014 collection. Or, Color Odissey: The Food by Giacomo Giannellafor Etro SS 2014.